Large body when dSLR and ILCs are getting smaller and easier to carry. 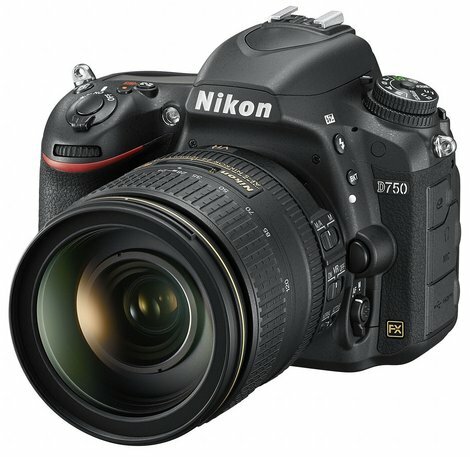 The Nikon D750 is an outstanding Full-Frame dSLR. A great mix of performance and image quality, you will get the best of both worlds. Along with the outstanding performance, Nikon has also included some great convenience features like a tilting LCD and Built-in WiFi connectivity. Read more in our Full Conclusion. In September of this year (2014), Nikon announced a new full frame DSLR. The D750 combines the compact and lightweight construction of the D610 with the high-end full frame still photo and Full 1080p HD Video capabilities of the D810. On the video front, frame rate choices include 60p, 30p, or the cinematic 24p. Power Aperture provides smoother transitions when adjusting the aperture during recording. There's a full manual mode to adjust shutter speed and ISO (where the 100-12,800 range can be expanded to 50-51,200). Advanced Picture Control options include "Clarity" for enhanced mid-tones, "Flat" for broad tonal range, and even Exposure Smoothing for balancing tonal transitions while making time-lapse videos. Still photographs and HD video can be recorded to dual SD memory card slots or, via HDMI, to external storage devices. The D750 also boasts features like a new 24.3-megapixel, FX-format CMOS image sensor, their EXPEED 4 image processor, a new 3.2-inch tilting RGBW display with 1.2 million dots, a 51-point AF system with 15 cross type sensors (sensitive up to f/8.0), a 91,000 pixel RGB metering sensor, and built-in Wi-Fi. With the free Wireless Mobile Utility App, you can connect the D750 to smartphones and tablets, turning them into external displays and remote controls. Also, with the optional WT-5a wireless transceiver plus UT-1 Communications Unit, you can even transmit images over a more secure FTP network (great for professionals). For current pricing, see our best price box at the top right of this page.